Sometimes we forget, through our busy lives, to take good care of ourselves. Within our range we therefore offer what we believe to make a positive contribution to a healthy lifestyle. From unique nutritional supplements to super foods and from turmeric capsules to reishi mushrooms. All products are produced and checked with the greatest care. All natural! Experience for yourself what our food supplements add to your life and lifestyle. We think quality nutritional supplements and healthy herbs are important. Quality and natural products often go hand in hand. Many of our products therefore also have a vegetable, organic origin. For example, the hemp products are made from organic industrial hemp cultivation. With each product is explicitly stated whether it is also suitable for vegans and vegetarians. In our healthshop we have a range of products, healthy herbs and super foods. Which are the best? That is completely dependent of what you are looking for. We do have a few preferences. These are our “gems”. Turmeric (Curcuma longa) is no longer to be forgotten in the kitchen. Originally turmeric is from Asian cuisine, where we also know it as a yellow root. In Western cuisine we also use it richly in our dishes. Turmeric has a curry-like taste and has a yellow color. You can spice lovely curries with it or enrich other rice dishes. In addition to the taste, turmeric has various health advantages. For example, Turmeric contains quite some antioxidants, potassium, zinc, calcium, iron and various B vitamins. A worthwhile addition to a healthy diet! Medicinal mushrooms are on the rise! One of the best known is the Reishi mushroom (Reishi mushroom). Reishi mushrooms are originally from the Far East, where they are praised for their relaxing qualities. Perfect for body and mind. That is why the Reishi mushroom is also called the “Feel Good Mushroom”. We have Reishi mushrooms in several teas, tinctures and powders! 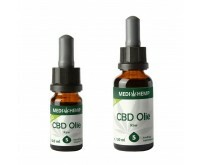 Hemp oil is produced from seeds from industrial hemp plants. The seeds of the hemp plants are full of important proteins and omega fatty acids (such as 3, 6 and 9). You can use hemp oil in the same way as olive oil. For example, fry a piece of meat or fish or use it as a dressing over a salad. Hemp Also For the Dog or Cat! In our healthshop you will not only find products suitable for people. We also have healthy snacks and chew sticks for your beloved pet (dog or cat). Quality ingredients combined with the power of hemp. They are specially produced with the needs and dietary wishes of the dog or cat in mind. In addition, the products are deliciously flavored. Your pet will be grateful! Why order at the healthshop of Dutch-Headshop? Free shipping above € 15. An excellent service. Our customers rate our web shop with a 9+ (KiyOh). Large assortment with honest product information. Experience for yourself what Our Healthy Dietary Supplements DO For You! Interested in our healthy nutritional supplements, healthy herbs or super foods? View our assortment! Everything is pure natural and of high quality. Every product is also provided with honest information. Do you still have questions? Ask them to our customer service! Send a WhatsApp message or an E-mail. And we will reply within two hours (within working hours). Of course you can also call, for an immediate answer.